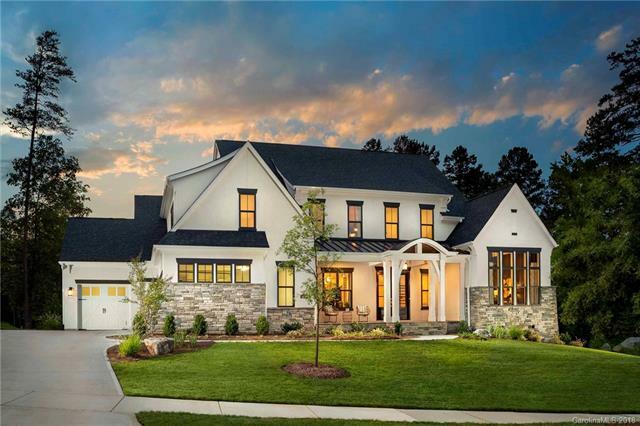 New Construction in Davidson, NC – The Good Life! Just like most of the country, Davidson is seeing a surge in new construction as people move from all over the country to this highly rated town. Varied activities for all ages, great schools, proximity to Charlotte and home of Davidson College all combine to make Davidson, NC one of the most desirable suburbs in North Carolina and the country. New construction continues to demand a premium of approximately 19% over resales as builders have figured out what today’s buyers want. Get ready to see your options in Davidson, NC. Call 704 996-0948 for additional information about Davidson, NC Real Estate. Davidson East is located off route 73 in Davidson, NC, offering great access to I-77 and Uptown Charlotte. Enjoy this amenity rich community which will feature a competition pool and Private Residents’ Club featuring a clubhouse with a club room and warming kitchen. Take a bike ride on the bike lanes that will connect to the West Branch Rocky River Greenway and enjoy the outdoors and the natural wildlife the Greenway offers. Located across the street from Bradford Park, a 170 acre park featuring soccer fields, baseball/softball fields, two picnic shelters, disc golf course and a playground. Westbranch is located across from the River Run Soccer fields on the Davidson Greenway. They boast single-family homes, including Lennar’s new Arbor collection. Located in historic Davidson, NC, there is no shortage of entertainment or community. Smaller lots and a mix of single family and townhomes. The Preserve at River Run is Phase 5 of River Run which in the end will encompass 900 homes. River Run Country Club offers unmatched amenities in Davidson including a championship golf course, world class tennis facility, pools with slides and a lazy river, fitness facilities as well as several dining options. Homes are custom built and considered on the luxury side of the Davidson Real Estate market. The lots are larger than many options in Davidson. Builder(s): A variety of custom builders build in River Run. You no longer have to use one of their “preferred” builders. A true walk/bike to town location with terrific builders. Close to everything Davidson has to offer yet on a quiet street. Lots are smaller, but the homes are high quality. Near the greenway. Walk/Bike to town. Near Lake Davidson. Convenient to the interstate and everything Davidson has to offer including Historic Downtown Davidson and Davidson College. You’ve wanted this for a while now. The simplicity. The stillness. The space to roam. You seek proximity to what is natural, what endures. You know that the right blend of form and function can create something elegant and sublime. At The Preserve at Narrow Passage, you’ll find village cottages and luxury homes, custom crafted from organic materials, tucked into lots framed by canopies of hardwoods. Thirty-seven of The Preserve’s 59 acres are designated conservation spaces, with fields, streams, and pristine wetlands protected from development. The homes are steps away from walking trails and a lush greenway that connects to the local parks and the Pool, Tennis, and Golf Course offered at nearby River Run Country Club. Bike or walk further along into historic downtown Davidson, with its quaint shops and award-winning dining, high-performing schools, and all the arts, culture, and sports you’d expect from a town that’s home to a prestigious college. A little further out of town, but with nice amenities and attendance in the excellent Davidson Schools. Worth a look if you are seeking more value. Current new construction is all in Cornelius.